Pros: Perfectly timed humour and formidable performances from all three cast members, this is pure satirical brilliance. Cons: You’ll need to concentrate to keep up. With no interval, there’s no time to rest and recharge, which some people might find difficult. 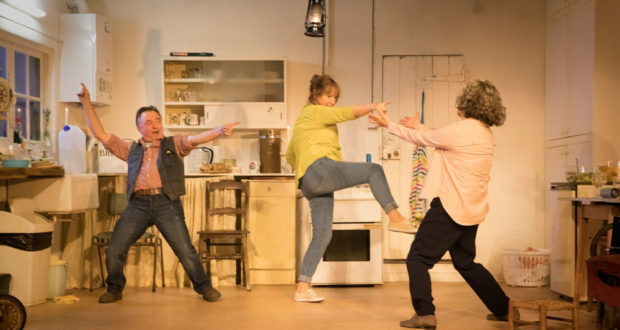 A relevant and thought-provoking 2016 kitchen sink drama from a theatre that can be relied upon to present the best in new writing. In a year that has seen the United Kingdom vote to leave Europe and Donald Trump become the President Elect of the United States, a play about the legacy we leave to future generations is perfectly pitched. Honouring the Royal Court’s commitment to producing new work that reflects the issues of modern society, Lucy Kirkwood’s The Children follows the lives of two retired nuclear scientists who isolate themselves in a cottage on the east coast while the world outside – one which they helped to create – crumbles around them. Following a nuclear disaster, certain foods and utilities are limited, exclusion zones are in place and they live on rations of salad and bread. When an old friend and colleague comes to visit, she offers the couple a frightening invitation; one that prompts them to face up to their responsibilities. Across 1 hour and 55 minutes, the action plays out on a small kitchen set where Rose (Francesca Annis), Hazel (Deborah Findley) and Robin (Ron Cook) debate the past, present and future. 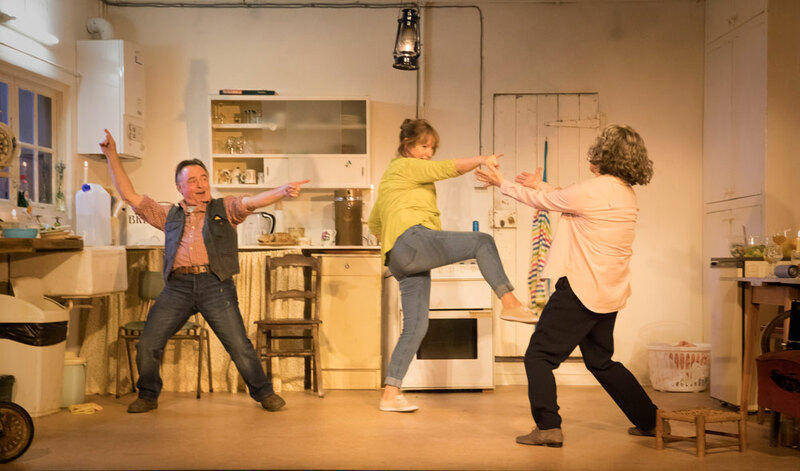 Kirkwood sympathetically lays part of the blame for recent events at the doors of the elderly trio, in a play that is wonderfully textured to provoke a range of thoughts and feelings in the audience. It is as much an exploration of old age as it is about the impact of past mistakes on younger generations. Talking about death, Robin stoically says, “Our age, you have to show no fear to Death, it’s like bulls, you can’t run away or they’ll charge. You’ve got to keep grabbing him by the lapels, poking him in the eye and saying: not yet mate.” Set against the darkness of their shattered lives, The Children is also about hope in the face of adversity. There’s satirical brilliance; humour is delivered through exceptional timing and alluring performances. Each of the three characters are believable and despite their human failings, you can’t help but like them – testament to the quality of writing and the accomplished performances. Indeed, the writing secures Kirkwood’s place as one of London’s top contemporary playwrights. The Royal Court is one of my favourite theatres, where it is always a pleasure to spend an evening. If you enjoy work that challenges our ideals, our choices, and reminds you of your role in the ‘bigger picture’, you’ll enjoy The Children. A good kitchen sink drama, for which of course, The Royal Court is famous.